Finally, a morning all to myself :) It feels great not having to start my day at 3:00am (the time I usually wake up during my work week). Since Valentine's day, I've been enjoying Suqqu's EX-16 Benichagasane Blend Color Eyeshadow Palette. Suqqu Blend Color Eyeshadow EX-16 Benichagasane. From left to right: Balancing Cheeks 03 Hinageshi, Creamy Glow Lipstick Moist EX-13 Beniaka. Suqqu Frame Fix Cream Foundation SPF 25 in 202. 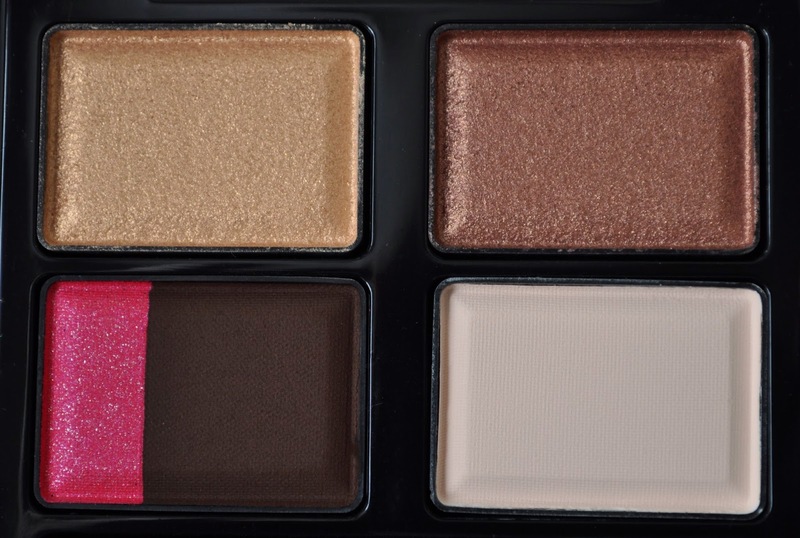 Hourglass Ambient Lighting Palette (all three shades mixed together). Laura Mercier Translucent Loose Setting Powder (apply over the Hourglass Ambient Lighting Palette). Suqqu Balancing Cheek in 03 Hinageshi (the peach shade). Shu Uemura Hard Formula brow Pencil in Stone gray 05. The matte cream-white eyeshadow (all over the lip and up to the brow bone). The taupe-bronze eyeshadow (on the lid and blended into the crease). The matte bitter-chocolate eyeshadow (blended into one-third of the outer crease, upper and lower lashline). 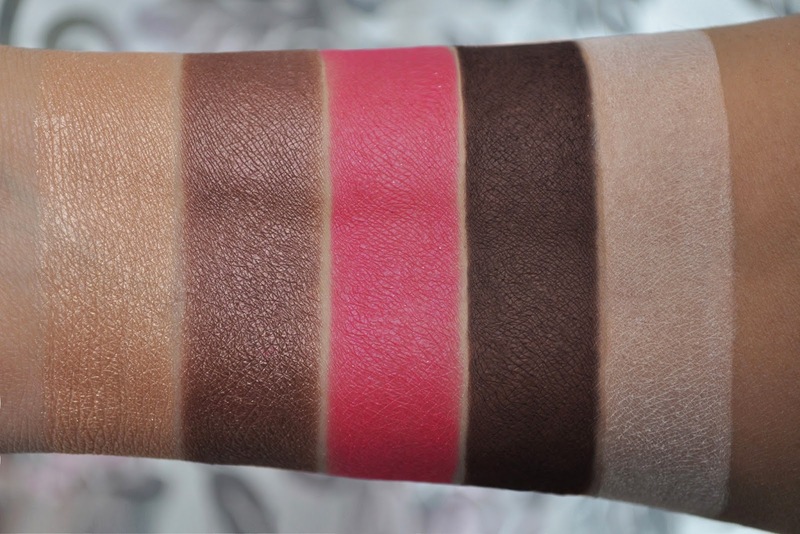 The bright pink eyeshadow (used to blend out the bitter chocolate shadow on the lower lashline). The champagne-gold eyeshadow (in the inner corner and lightly dusted on the brow bone). Make Up For Ever La Boheme Aqua Eyes Pencil in Gypsy (used to tightline the upper and lower lashline). Suqqu Creamy Glow Lipstick Moist in EX-13 Beniaka. Suqqu Balancing Cheek in 03 Hinageshi (both shades mixed together). The champagne-gold eyeshadow (on the lid, inner corner and one-half of the inner lower lashline). The taupe-bronze eyeshadow (in the crease). The matte bitter-chocolate eyeshadow (blended to create a soft cut-crease, upper lashline and one-third of the lower lashline). 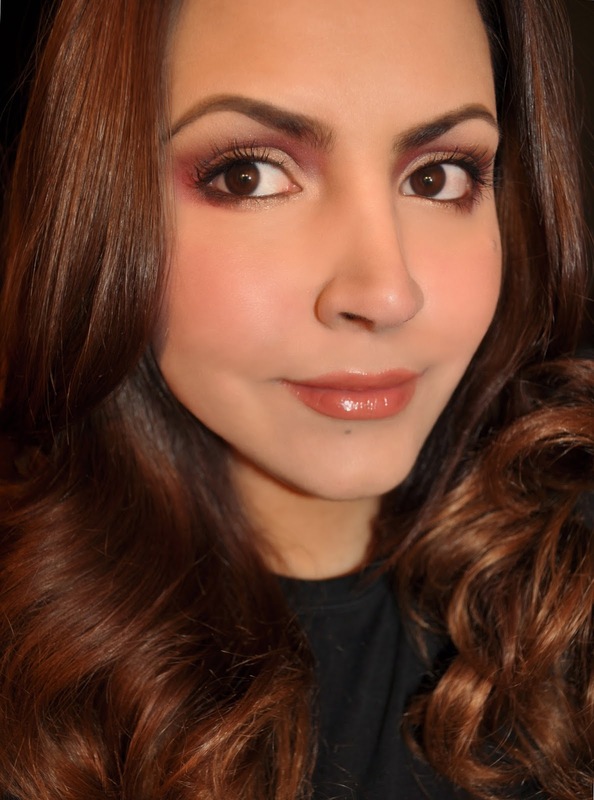 The bright pink eyeshadow (blended into the inner corner, outer crease and one-third of the outer lower lashline). Make Up For Ever La Boheme Aqua Eyes Pencil in Gypsy (used to tightline the upper and lower waterline). Omgosh! I that quad is soooo beautiful! I love peachy shade, dark brown and hot pink! You placement of the pink is so unexpected but complimentary! Wish this palette wasn't limited edition! Did you pick it up? Wow!!! You look so gorgeous! I love the shades that you have used for they seem to match altogether. Love it! Thank you Patricia! I loved the shades in these palette, and it was a lot of fun wearing these looks. Why. So. Pretty (my eyes are blinded)! The colours fit you beautifully but tbh, nothing EVER looks bad on you! I might give this season's release a miss for now, considering they're not LE. How have you been woman! Always too kind Bonnie, but I love you for it ;) Yeah, I'm going to get this seasons quads, but since they're LE, they can wait. I LOVE this palette, and pink is a great color to accent with! Wow!! So pretty!! I love that vibrant pink! !